This morning, we announced the brand new Deals section of DL, a spot where you can find discounts on bundles of apps, accessories, and other tech-related products. If you haven’t already, be sure to cruise over there and browse around to see if anything fits your current needs. Might I suggest the Android section, where you will find a name-your-price bundle of games and a discounted shower speaker (who doesn’t need a shower speaker?). 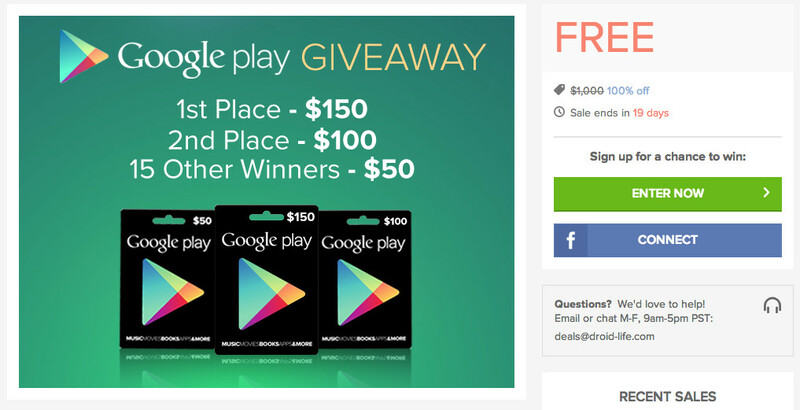 If none of that stands out, then I wanted to at least point out that you will find a Google Play gift card giveaway with $1,000 in prizes. The grand prize will receive $150 in gift cards, the runner-up gets $100, and 15 others will see $50 cards.